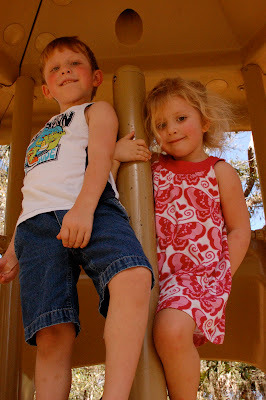 I blogged a couple of weeks ago about what good friends my kids are. Well, here is more proof of their admiration for one another. You should never do this, but I couldn't resist and I asked her, "Who do you love more: Mommy or Jonah?" Without a millisecond of thought, she immediately replies, "Jonah." I haven't asked Jonah, but he'd probably have a similar response. And that's okay by me. aw sweet! I'm so enjoying watching the relationship between my girls grow and strengthen too. Sometimes I wonder whether having another child was the best decision for my sanity, but for them - I've no doubt in the world we made the best choice! Thanks for stopping by mine! I Just Knocked My Son’s Tooth Out!